If you’re like most people with a junk car, you’re probably looking at it and thinking one thing, and one thing only: I want that miserable clunker gone. As in, yesterday. With the amount of headache that a beat up, rusted out, broken down old car can cause you, it’s not surprising that this is the state of mind you end up in. After months of dealing with a never ending list of repairs, and the creeping feeling that your old car is managing to single handedly put your mechanic’s kids through college, it’s understandable that you’re ready to see it gone. And, of course, it’s possible to just have someone come and haul it away. But, as you may already be aware, junk car buyers are mostly interested in your car’s scrap metal value. What does that mean for you? Well, there are some parts of your car that’re relatively easy to remove on your own. Once they’ve been taken off, you can sell them individually. There are plenty of things that’re too time consuming remove or too fiddly to try and sell, and these probably aren’t worth your time. But there are a handful of items that are absolutely worth your consideration: removing them is quick, and finding someone to buy them isn’t that tough. What are these magic parts, you ask? Read on to learn about the top four most valuable parts on your clunker. On the one hand, this is pretty obvious. After all, we all know someone who’s had their car broken into and their stereo stolen. 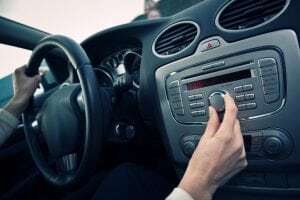 But, you might be surprised by just how much cash you can get for a stereo in good cosmetic condition. On the one hand, some vehicles come with a proprietary stereo. These aren’t necessarily worth a lot of money, because they’re fairly basic units. However, some buyers might be looking for one for their car if their original has bit the dust: so, it’s still worth seeing what the going rate is for this kind of unit. On the other hand, if you put a custom stereo into your car, it’s definitely worth some serious cash. Pull it out and sell it to the highest bidder! A lot of people just use their phones for navigation nowadays. That said, there are some major advantages to a hands-free, voice operated, mounted, dedicated GPS unit. Particularly if you do a lot of out of town driving, a dedicated GPS is a great thing to have. It frees up your phone for other tasks, and it’s easy to use without having to take your eyes off the road. Removing your GPS unit from your car is easy as pie, and a used one can fetch a pretty penny. You may not know it, but a battery in good condition with plenty of life left in it is worth quite a bit of cash. 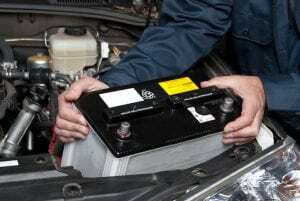 Some larger vehicles use batteries that are quite expensive brand new, and a lot of buyers with an older vehicle might not want to shell out a couple hundred dollars for a brand new battery. Removing your battery is fairly easy and requires just a couple of hand tools. Granted, removing your tire takes a bit more work. You need a solid, flat space to work, and you’ll have to jack up your car. But, if your tires have a lot of tread left on them, they’re worth quite a bit. Larger vehicles like SUVs and trucks tend to require tires that are incredibly expensive when purchased new. And, if you’ve never changed a tire, now’s your chance to learn! Of course, removing all of these parts isn’t always the easiest thing to do, especially if you’ve never tried it before. If you’re ready to sell your car and don’t want to go through the hassle of parting it out yourself, give Junk Car Traders a call. As an auto recycling company, Junk Car Traders can pick up your car right away and pay you a lump sum in cash. Regardless of which path you choose, you can look forward to being free of the burden of that junk car once and for all!